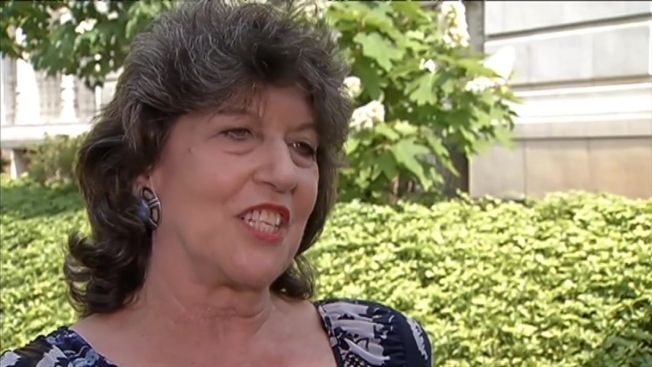 Carol Schwartz, a former Republican at-large member of the D.C. Council, has announced she plans to join the D.C. mayoral race as an Independent. Schwartz, 70, will join D.C. Council Members David Catania, also a former Republican running as an Independent and Council Member Muriel Bowser (D). "I think I'm a valuable public servant and I've certainly served it well, and I hope to serve again as mayor," Schwartz told News4. Schwartz was previoulsy elected to District Council from 1985 until 1989 and again from 1997 to 2009. She ran against Marion Barry for D.C. mayor in 1986 unsuccesfully, and ran three more times -- 1994, 1998 and 2002. She stepped away from D.C. politics in 2008 when she lost the Republican nomination for a D.C. council seat. Schwartz denied that she's running as an Independent this year as political payback to Catania -- who supported another Republican back in 2008. "No, I've wanted to be mayor for a long time, it really has nothing to do with him," Schwartz said. When asked for comment, Catania's camp called Schwartz's announcement a "sideshow," a "Sulaimon Brown." Brown was a minor candidate who was paid to detract from former Mayor Adrian Fenty's failed re-election campaign in 2010. "No comment, no comment," Schwartz reacted. "All those people who said they wanted me back in political life, and wanted to see me be their mayor, I need you now." Schwartz said she plans on picking up petitions Friday, when she will begin to gather 3,000 signatures to get on the ballot.